Alpher discusses what was most significant about the third Obama-Romney debate last week from an Israeli standpoint, whether the joint electoral list agreed on last week by Netanyahu and Lieberman ensures a right-wing victory in Israel's elections, and explains the strange, seemingly contradictory, actions last week: the dramatic bombing raid in Khartoum that was attributed to Israel, along with an upswing in Hamas rocket attacks from the Gaza Strip that produced only limited, Israeli retaliation. Continue reading Hard Questions, Tough Answers with Yossi Alpher - October 29, 2012. More than a dozen different factions sat in the 18th Knesset, which dissolved itself early Tuesday morning, and a few new parties are expected to join the 19th Knesset, which the Israeli people will elect on January 22, 2013. America somehow gets by with two political parties for its 300 million-strong population. We fewer than eight million Israelites, with our over-abundance of political democracy, evidently need dozens of choices. It's been nearly four years since the last elections (which took place on February 10, 2009), when dozens of parties competed for the 120 seats -- including rank no-hopers like the taxi drivers' party, the battered husbands' party, and the combined legalize marijuana/Holocaust survivors' party (really). This time, one or more convicted criminals are planning comebacks, established parties are coping with new challenges (Labor after Ehud Barak's breakaway, Kadima after its voters' breakaway...), several new parties have been founded, and more are doubtless on the way. A new centrist party formed by Ehud Olmert, Tzipi Livni and Yair Lapid would win more seats in the next Knesset than the Likud, according to a new Haaretz poll. Were such a party to be formed, it would grab 25 seats, compared to Likud's 24. However, the survey also indicates that, whatever its composition, a right-wing bloc would not lose its Knesset majority. Washington, DC - Americans for Peace Now (APN) joins its Israeli sister organization, Peace Now, in condemning two recent moves by the Israeli government in East Jerusalem that could severely complicate efforts to reach a two-state solution between Israel and the Palestinians. APN's President and CEO Debra DeLee called the moves "provocative and irresponsible." Continue reading APN Condemns Planned East Jerusalem Construction. Foreign Policy: Daniel Seidemann and APN's Lara Friedman - Status Quo on the Temple Mount? Recent developments in Jerusalem pose a threat to the stability of the city and to the region. The world saw a preview over the recent Jewish holidays, when activists challenged the Israeli-imposed ban on Jewish prayer on the Temple Mount, known to Muslims as al-Haram al-Sharif. Sensitivities at the site tend to peak during any holiday season; however, these latest challenges cannot be dismissed as routine or benign. Continue reading Foreign Policy: Daniel Seidemann and APN's Lara Friedman - Status Quo on the Temple Mount?. Continue reading Hard Questions, Tough Answers with Yossi Alpher - October 22, 2012. Don't miss these two upcoming events with Shalom Achshav's Hagit Ofran! First, on Monday, November 12, 2012, at Noon at The Standard Club in Chicago, Illinois, Hagit will receive the Ethel and Philip Klutznick Prophet of Peace Award. Then on Thursday, November 15, 2012, she will be the speaker at the APN's Professor Gerald B. Bubis Lecture at Valley Beth Shalom Congregation in Encino, California. Continue reading Two Upcoming Events with the courageous Hagit Ofran. Washington, DC - Washington, DC - Americans for Peace Now (APN) today urged Israel's government to reverse its apparent intention to adopt portions of a report that seeks to legitimize Israeli settlements in the West Bank and to legalize West Bank "outposts," which were built in violation of Israeli law. Continue reading APN to Israeli Government: Don't Adopt Levy Report. WASHINGTON (JTA) -- Can you imagine Israel without a free, independent, vociferous and diverse media? Can you imagine Israel without Maariv and Haaretz? Without biting commentary, investigative reporting and an open, cacophonous marketplace of views and ideas? Continue reading JTA: APN's Ori Nir- Supporting Israel's media strengthens its democracy. Those who obsessively follow Israeli news as we do know that Israeli Prime Minister Benjamin Netanyahu has called for early elections, scheduled for January 22, 2013. APN gives you the background and analysis to understand this latest development and its possible ramifications. Continue reading Early Israeli Elections: What You Need to Know. Alpher discusses the Israeli elections: Why is Netanyahu in such a hurry; why is he talking about security; why the Palestinian issue could be relevant; how the current administration has survived so long; what could happen between now and January to change the election situation; how could new parties or coalitions affect the election and how might the outcome of US elections affect those to be held in Israel a few months later? 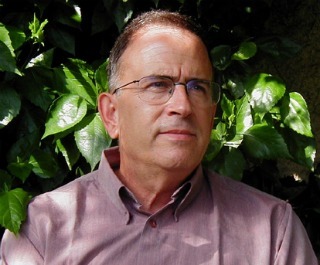 Continue reading Hard Questions, Tough Answers with Yossi Alpher - October 15, 2012. Headlines today are focused on the announcement yesterday by Israeli Prime Minister Benjamin "Bibi" Netanyahu of early Knesset elections. Rather than add to the feeding frenzy of speculation, today I want to weigh in, belatedly, on Bibi himself. Continue reading Huffington Post: APN's Lara Friedman - No More Excuses for Bibi. A month before the US general elections, Israel's prime minister, Benjamin Netanyahu, threw Israel into an election campaign frenzy when he announced his intention to dissolve the Knesset and hold early elections next January. Continue reading Israel Election Frenzy. Shemini Atzeret -"the Eighth [day] of Assembly"- is celebrated beginning Sunday night, October 7th. Outside of Israel, a second day is celebrated which is referred to as Simchat Torah ("the Rejoicing of the Torah"). In Israel, the holidays of Shemini Atzeret and Simchat Torah are combined into one and either name can be used to refer to the holiday. Continue reading Let's all get together for a fresh start this Shemini Atzeret/Simchat Torah.